I am often asked if anything can be done for knee problems that persist after a full or partial knee replacement. Unfortunately, its fairly common to continue having some knee issues after knee replacment (knee arthroplasty). Some of the reported knee challenges include pain, lack of stability or the feeling your knee can't be trusted. If you search using Google with this search string "knee pain after knee replacement pubmed", you will find several research papers discussing the topic. A recent study looked at the percentage of patients with chronic knee pain after knee replacement at a minimum of one year following surgery in 272 patients. A questionnaire was sent to them at between 12 and 16 months following their surgery. Of the 272 patients who responded, 107 patients (nearly 40%) reported that they still had persistent pain at one-plus year following surgery. The median average pain rating (using the 0-10 numeric pain scale) was 3 out of 10, with pain reported as high as 5 out of 10. While you might think 5 out of 10, which is moderate pain, would be an improvement in knee pain after knee replacement, it isn’t that much different from the pain level most patients would describe prior to undergoing the knee replacement. This amount of pain can keep you from being able to do certain things like roller skate with the kids, or going on trips that require a lot of walking or climbing stairs, for example. Persistent pain is also commonly described as aching, tender, and tiring, which certainly would give someone pause when considering to participate is a variety of activies. You want to be able to keep up with your family, be able to sleep on your side or just walk without pain, but your knee or knees scream at you in pain. 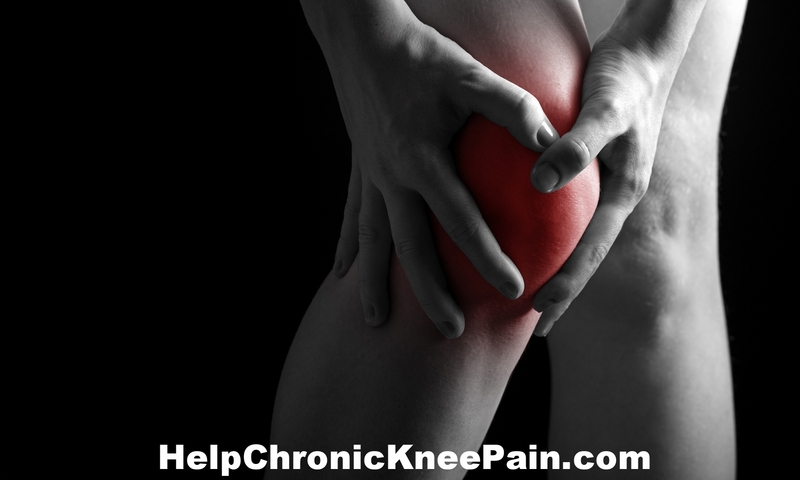 Every day is a chore due to your chronic knee pain and you want non-surgical help. I am happy to say I have a solution for you that works and works FAST! The typical method of dealing with a painful area of the body is focusing the treatment on the painful part of the body with physical therapy, Chiropractic, massage, rehab, etc. If you have tried this focused treatment without success and are left thinking you have no other choices, know that I am writng this article to give you another viewpoint and a non-surgical knee pain option. 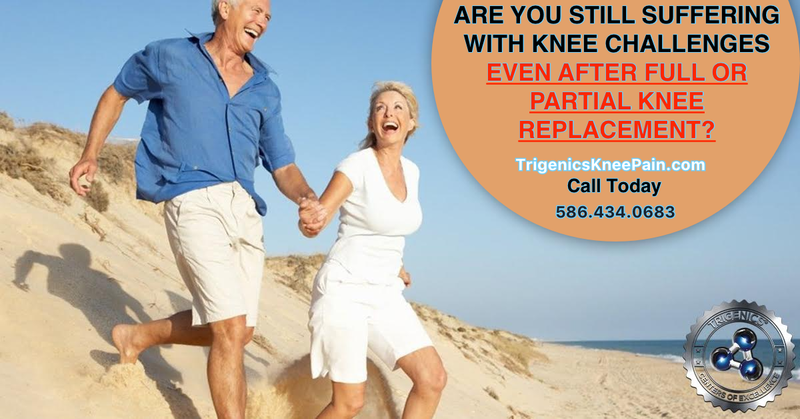 Thousands of people have been helped with the methods I am going to explain I have personally helped many people who were desperately looking for a non-surgical solution to their knee pain. It's likely you can be helped too. Of course not everyone is a candidate for the procedures I will outline, but a vast majority of people are suitable candidates. Cellular exercise in the form of PEMF can help your body heal itself. PEMF is short for pulsed electromagnetic fields. For a few years now, I have been researching PEMF and how to incorporate it into my natural healing practice. With the myriad of different systems available, I wanted to ensure I chose a PEMF system that was robust, effective and made in the United States. After reviewing a few systems, I decided to use one that several of my colleagues found very effective and that stood the test of time in regards to durability and one that effectively improved my patients' healing ability. In my office, patients who have chronic knee pain, chronic shoulder pain/"frozen shoulder, neuropathy, fibromyalgia, Parkinson's disease, mild cognitive impairment (MCI), ADHD, and a host of other chronic and acute health challenges are benefitting from cellular exercise using our Pulse Centers XL Pro system. What is an electromagnetic field? What are PEMFs? "If you have ever held two magnets in your hands, tried to force them together, and felt a resistance between them, then you have experienced a magnetic field. The Earth has its own magnetic field, produced by fluxes in the molten metal in the core of the planet. The presence of this field is what causes a compass to rotate so that the ‘north pole’ of the compass points roughly north. A changing magnetic field (such as a magnetic field moving through a coil) generates an electric field (which would drive a current in the coil). This forms the basis for many electrical generators and motors. Similar to the way that a changing magnetic field can generate an electric field, a changing electric field generates a magnetic field. This is a natural activity of the universe. An electromagnetic field is a physical field produced by moving electrical charges. It affects the behavior of any other charged objects in the vicinity of the field. PEMF stands for Pulsed ElectroMagnetic Fields, which are widely used these days to improve circulation and cell metabolism. The body can become accustomed to nonmoving (or static) magnetic fields, which are generally unable to deeply penetrate the body. A pulsed electromagnetic field, however, is quite dynamic, is able to penetrate all the way through the body, and creates a cascade of effects within the body. "You have over 75 Trillion cells in your body. Cells are the basic building blocks of all living things.They provide structure for the body,take in nutrients from food, convert those nutrients into energy, and carry out specialized functions. Cellular exercise increases cellular membrane permeability. This allows better circulation of oxygen and nutrients into your cells. Additionally, PEMF helps eliminate carbon dioxide and waste products out of the cells. Can Chronic Knee Pain Be Helped Without Surgery, Shots or Drugs? Recently I Implemented a Breakthrough Knee Pain Progam In My Office That Has Helped Patients With Chronically Painful Knees Become Virtually Pain Free In As Little As Two Days.